Hyundai Motor Co. and Kia Motors Corp., South Korea's two biggest carmakers, plan to promote China-oriented crossovers at the Shanghai auto show, a move aimed at absorbing growing demand for sport-utility vehicles (SUVs). In the 2017 Shanghai International Automobile Industry Exhibition, open to the public from April 21-28, Hyundai Motor will debut its ix35 and its sister company Kia will reveal the K2 Cross. The two are SUV models tailored from the outset to satisfy the needs of Chinese consumers, statements by the affiliated companies said. New car sales in China jumped 15 percent last year to 24.4 million units from a year earlier helped by solid sales of luxury sedans and crossover SUVs, according to industry data. 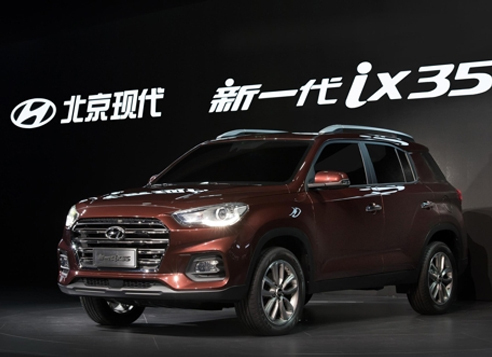 The ix35 SUV will be sold in China in two versions later this year: one with 1.4-liter gasoline turbo engine and the other a naturally aspirated 2.0-liter petrol mill, Hyundai said. The two models will be mated to a seven-speed dual clutch transmission or a six-speed automatic. 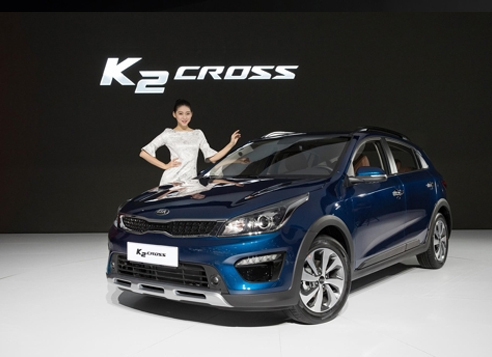 Kia also plans to launch the K2 Cross small crossover in the neighboring market later this month. The entry-level SUV is fitted with a 1.4-liter and 1.6-liter gasoline engine with a six-speed automatic or manual transmission sending power to the front wheels, it said. Hyundai and Kia said they will display 19 and 20 models, respectively, at the motor show. SsangYong Motor Co. has also joined the two bigger rivals to promote its SUVs in the world's biggest automobile market at the auto show. SsangYong Motor, which is 72.85 percent owned by Indian carmaker Mahindra & Mahindra Ltd., plans to display four SUV models such as the compact Korando C and Tivoli mini crossover at the show to increase its brand awareness and woo customers to its brand.